Many payors of spousal support assume that when they retire, their obligation to pay support will stop. After all, each of the parties will have received their share of the assets accumulated during the relationship, including the retirement savings and pension. Payors frequently assume that each spouse is thus responsible for planning for his or her own retirement. Unfortunately, this assumption is often wrong — at least if you live in Ontario. The person seeking a change to the support payment has the onus to prove that the change is “material” and the court must be satisfied there has been a change since the prior order, that, if known at the time, would likely have resulted in a different order. The actual circumstances when the person is seeking a change must also be considered. Two recent appeals heard by the Ontario Divisional Court show that while retirement and early retirement may bring about significant life changes, they do not necessarily satisfy the legal definition of “material change” needed to vary a support order. In Cossette v Cossette, the husband paid spousal support after separation for seven years after a 22-year marriage. He retired early as soon as he could take an unreduced pension, at age 55. His income had fallen from $104,000 to $48,000; he also had moved to Alberta, purchased a house and became engaged. By contrast, the wife to whom he was paying support continued to work, and said she would have to continue work until she turned 65. In Hickey v Princ, the husband had paid spousal support for 10 years following a 17-year marriage. The wife’s health left her unable to work, while the husband said his health was a factor in his early retirement at age 52, but not the reason for it. Just before retirement, he was earning $125,000/year. His post-retirement income was $74,500/year. He had remarried a woman who earned about $150,000/year and owned five properties. His asset base had also improved. The husband sought to reduce (but not terminate) spousal support, saying that the wife should not receive support from the part of the pension he had already shared with her in the property equalization. The motions judge reduced the support and set an end date for the payments of a further eight years, making the support payable equal to the length of the marriage. Like the Court in Cossette, the Divisional Court hearing the appeal in Hickey v Princ did not accept the motions judge’s decision. The Divisional Court found that the husband could still work and that he had chosen to retire early. The Court also considered the “means” available to parties, and said that the Court should consider not just the husband’s actual income but his ability to earn income, and that he had a new wife with considerable earning power and assets. The Court noted that the husband’s own financial circumstances had improved. The Court did consider the husband’s health issues, but saw this as only one factor in his decision. While the Court acknowledged that his early retirement did not appear to be an attempt to frustrate his former wife’s support claims, this did not mean that there would automatically be a variation. The Divisional Court ordered the husband to continue to pay spousal support with no end date, and also ordered him to pay the wife’s legal costs of $85,000. While both Ontario and B.C. caution against hard and fast rules on retirement, B.C.’s views are in stark contrast to those of the Ontario Divisional Court. In Ontario, the Court will consider whether the payor unilaterally decided to leave the workforce, and his ability to pay support, including whether he can seek out new employment or whether income should be imputed. The motivation for retirement will not go unnoticed. If the payor voluntarily stops work to end his support obligations, this will militate against a finding of a material change. Even if the retirement was not for this purpose, success is not guaranteed. 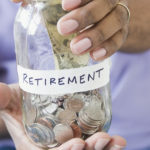 If a payor wants to retire early, in Ontario, the Courts more readily accept a change where the payor has serious medical problems, if support has been paid for a long time, or if the parties’ separation agreement contemplated an early retirement. B.C. has always been an attractive province for retirees. For support payors, it may hold an additional lure.